Imagine hollowing a space out of a Nerf football with an underside handle to snap in a Wii Remote and you've got the gist of CTA Digital's stab at a lightweight piece of video game pigskin. "This soft, realistic accessory, allows you to imitate crucial motions a virtual football game requires," reads CTA's product page, calling it "the first [Wii peripheral] of its kind to be fashioned after a squishy, backyard tossing, foam football." It looks a bit like an inverted blimp with a giant gondola grip for the Wii Remote. Snap the remote into the plastic handle with or without the Wii Motion Plus adapter and you're golden. The football's even "scooped" on both sides to accommodate right and left hand hurlers. 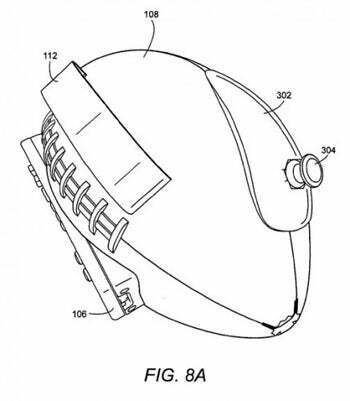 You may recall Nintendo's patent app for a football controller last August. Sketches revealed a football-shaped object with a hollow for the Wii Remote as well as the Nunchuk. CTA's product offers more space for your fingers, loses the Nunchuk, and appears to limit interaction to throwing (whereas Nintendo's app included an option to detect holding the ball while running in place or dodging left and right). The Soft Football's official product page doesn't reveal pricing, and it's not for sale...yet. Compatible games include Madden NFL, Backyard Football, Family Fun Football, Blitz: The League, NCAA Football 09 All-Play, and "any other Wii Football games that require the Wii Remote." But is it really more satisfying than swinging the Wii Remote by itself? Or swinging nothing (independent of your hand) at all? I have no idea, but expect to see the question asked increasingly, with all the differing developmental angles on motion control in flux, e.g. "approximate scale" (accessories like the Wii Soft Football), "abstract controls" (like the Wii Remote and PlayStation Move wands), and what I'm calling "phantom extensibility," i.e. Microsoft's Project Natal, where--absent a physical controller--the game "augments" your body.